You can use the Rainforest Eagle, Wattvision Gateway, or EKM Push. Have a SmartMeter? Check if the Rainforest Eagle will work. 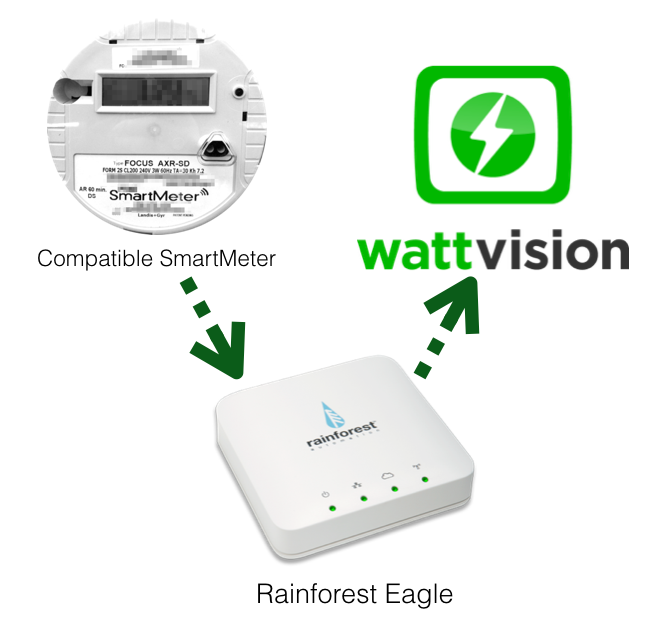 The Rainforest Eagle connects to your compatible electric utility meter wirelessly, and can be configured to upload data to Wattvision. Type in your Rainforest Eagle Cloud ID at Wattvision.com, and your data will be live. Not compatible with your meter? See the other options below. Have an analog or digital electric utility meter? 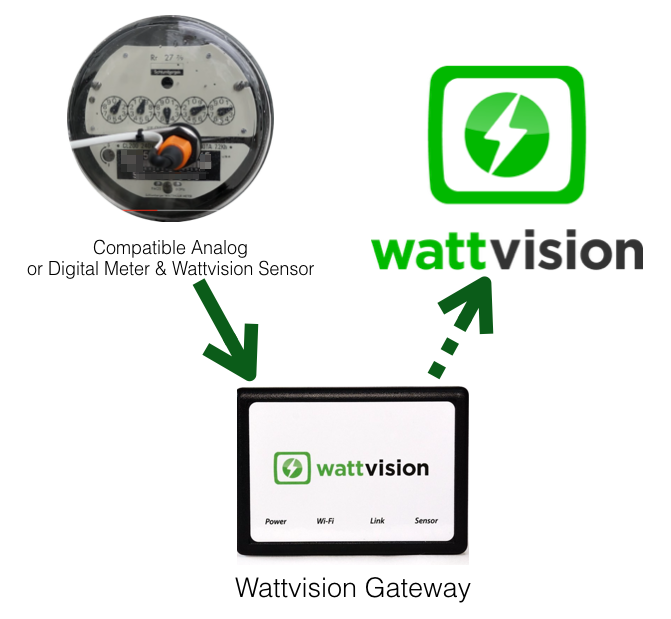 Check if the Wattvision Analog or Digital Meter sensors will work. Since 2009 Wattvision has been making energy sensors that non-invasively read analog and digital meters, with easy consumer setup. The EKM OmniMeter with EKM Push will work in any setting. Since 2010 Wattvision has partnered and worked closely with EKM Metering to support their current-transformer (CT) submetering systems. 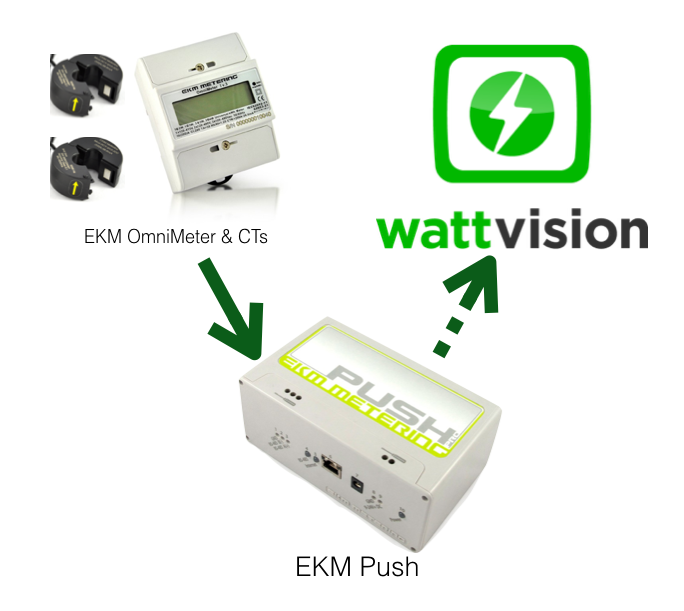 Enter your EKM Push key and Meter IDs at Wattvision.com to start tracking live data.